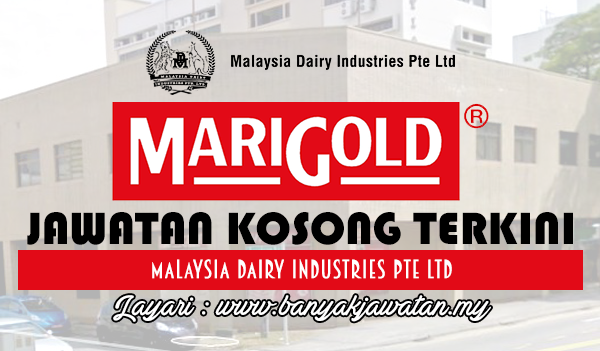 Malaysia Dairy Industries (MDI) was founded in 1963 as a joint venture between Singaporean partners and the Australian Dairy Produce Board. In 1969, the Singaporean partners purchased the Australian equity, resulting in the total localization of MDI. MDI was the first company in Singapore to produce sweetened condensed milk, and it was also one of the first products MDI manufactured. In 1970, MDI started the manufacture of evaporated milk, and again becoming the first company in Singapore to do so. The company began to expand its manufacturing line to pasteurized products in 1974. Today, MDI is a leading dairy and beverage company, with annual sales revenue of more than $260 million in Singapore and RM600 million in Malaysia. 0 Response to "Jawatan Kosong di Malaysia Dairy Industries Pte Ltd - 26 April 2017"